Call TODAY and get your garage door REPAIRED by EXPERTS. Garage door experts ready to repair, install, replace, and maintain residential garage doors, garage door openers, remotes, garage door springs, and more. We provide FAST and AFFORDABLE services for all your garage door needs. Fast service for all your garage door needs. Licensed technicians will repair your door right. We can repair most garage door makes and models. We offer new, professional grade, garage door operators, remotes, and keypads, etc. We also offer repair service for your existing opener. We provide high quality replacement springs for garage doors. 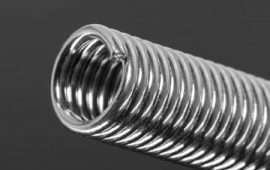 Have your broken spring be replaced by one of our specialists. A new garage door can improve the curb appeal and value of your home. We provide great quality garage doors at competitive prices. Call for a Free Quote. We care about Redding and are invested in its well-being and its future. 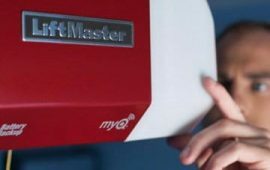 We are EXPERTS in our trade, providing skilled technicians to service garage doors and garage door openers. 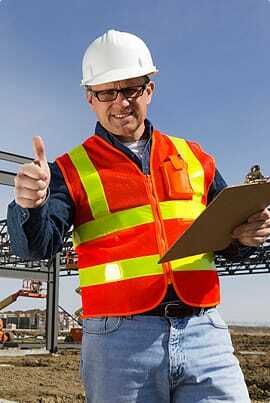 We will provide you the best products, services and workmanship with HONESTY and PROFESSIONALISM. We Simply Care. We always honor our appointments. For over 18 years we have been servicing residential garage doors. 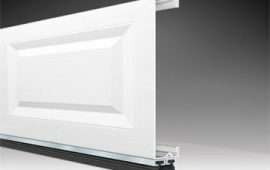 This is a locally owned and family operated garage door company, centrally located in Redding, California. We strive to bring you top quality service above all, fair pricing, honesty, experienced technicians, and old fashion work ethics. PROUDLY SERVING OUR LOCAL COMMUNITIES: Redding, Anderson, Happy Valley, Cottonwood, Lake California, Shasta Lake, Old Shasta, Palo Cedro, Bella Vista, Red Bluff. Scott came out to repair our garage door this morning. He was on time, friendly, immediately knew what the problem was, had it repaired in no time at all, and was reasonably priced. I would suggest Scott’s Garage Door Services for any and all services. Thank you for coming out today on such short notice. You were right on time and did a fabulous job on fixing our garage door. You were very quick also. We will highly recommend you to our friends and family. Great Job!!!! Thanks again! Scott did an AMAZING job repairing our garage door! He arrived on time was very friendly. Outstanding work. Very Professional, knowledgeable and affordable. Quick to respond. Awesome job! Very friendly and efficient. Would use his services again in a heartbeat. Will also tell my friends and family to give him a call for their garage door service. Everything went well, the service provider was nice appearing, personable, very knowledgeable, and efficient. My garage door works perfectly and is much quieter than it used to be. He was very good. He said my hinges were nit heavy duty enough for the weight of my door. He did a great job. He was prompt, courteous and efficient. I would recommend them highly. He is very good at explaining what needed to be done and why and going ahead and getting the job done. Really knows and likes his stuff. great, honest guy. Free quote available over the phone for garage door repairs. Most Repairs Done The Same Day!